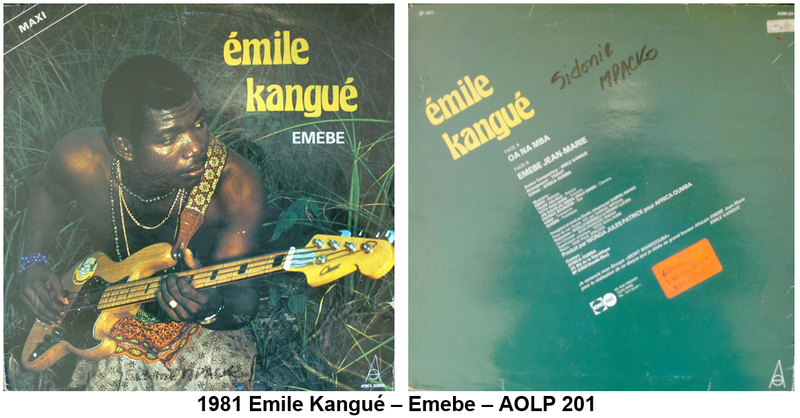 With his career as bass player, singer, songwriter and producer Emile Kangue has become a part of the cultural heritage of Cameroon. 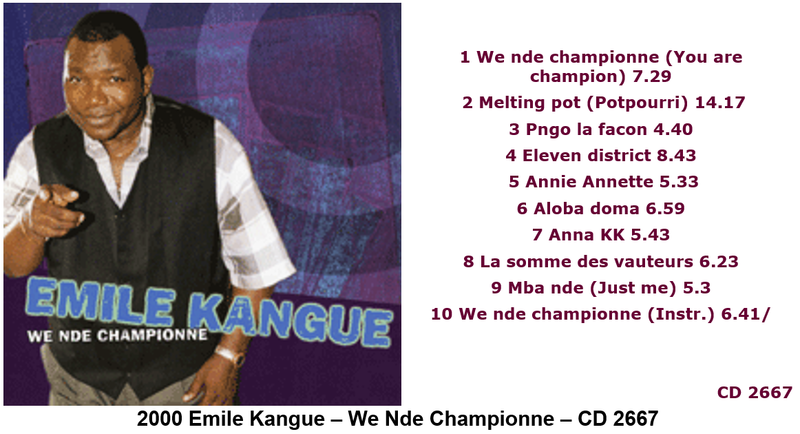 Eldest in a family of twelve children Kangue was born in Edea. 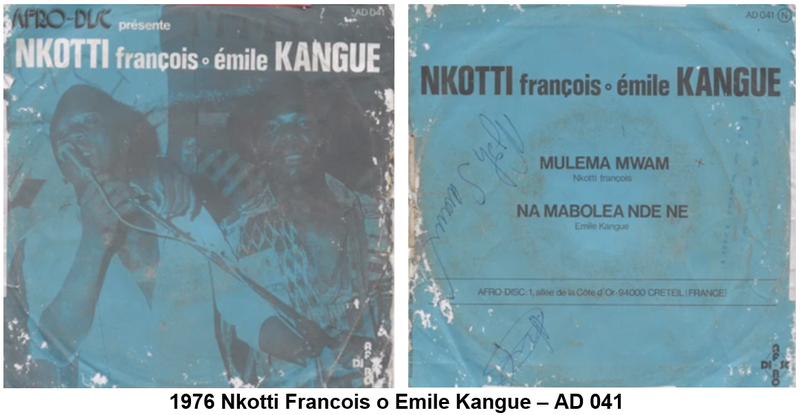 He started singing in a church choir. 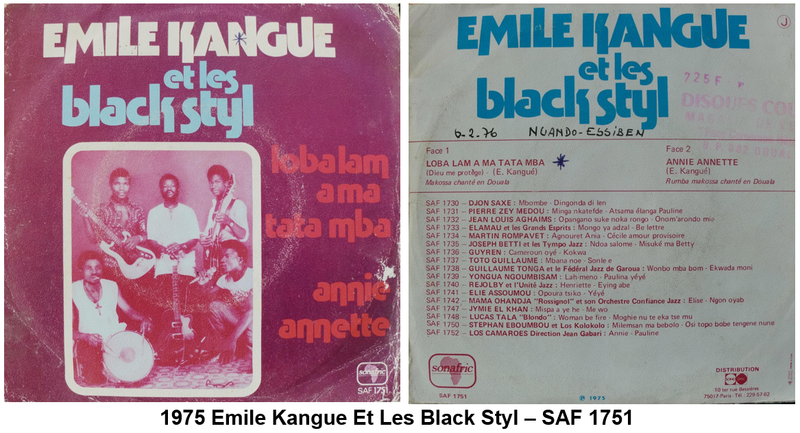 His next musical step was to join the school band The Black Banner. After he had left Edea to live in Douala he joined Epee Mbende Richard's (aka Epee d'Or) orchestra UVOCOT Jazz. 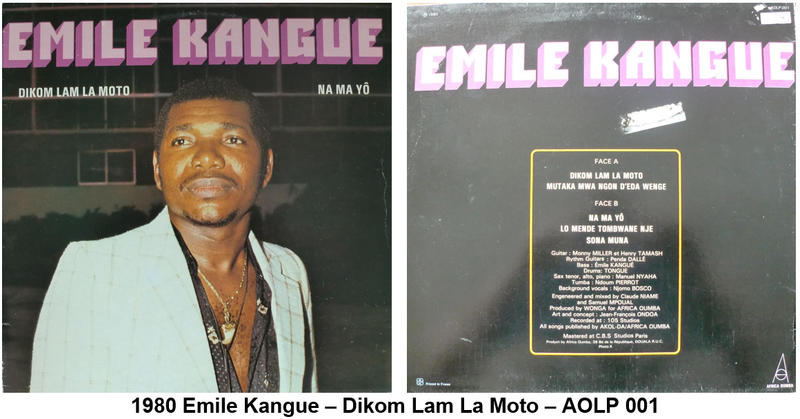 Meanwhile he created a group in the Mount Cameroon Bar in Bali with Nkotti Augustine ans a few musicians of Mouelle Guillaume's orchestra. This group was called Les Corniches and stayed together for two years. 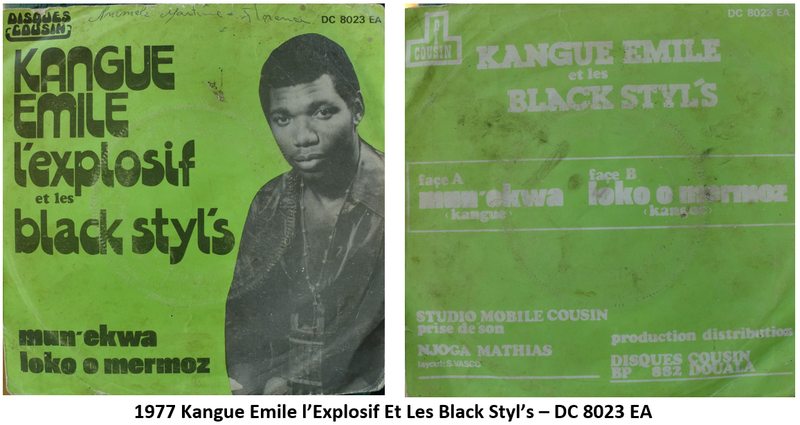 After Les Corniches he joined the group Black Styl, the house band of the Davoum Bar in the Bonakouamouang district of Douala. 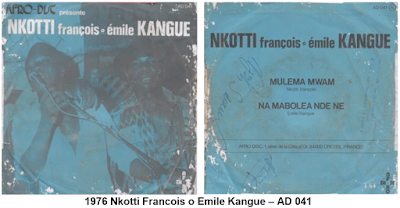 As bass player and singer beside founder of the group Nkotti Francois het toured in France for three months in 1979. 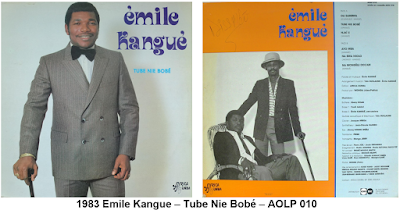 Back from this tour Emile Kangue left Black Styl after a disagreement with some of the other band members. 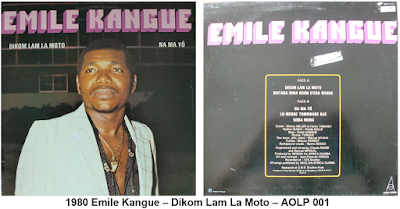 Together with Penda Dalle he created a new band La Muzette du Mont Manengoumba and recorded his first big hit album Dikom lam la moto 'My very dear friend' in Douala language), which has sold more then 50.000 copies. The album was released on Jules Wonga's record label Africa Oumba and earned him a gold record. 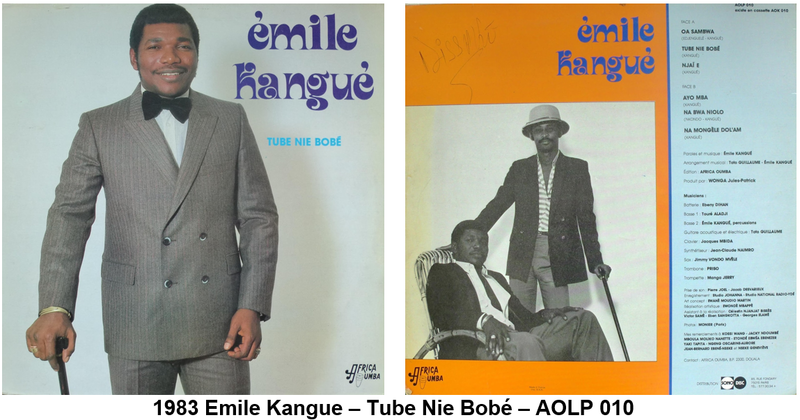 During the eighties Emile Kangue released several more albums such as Tube nie bobe (1983), Sele dutea (1984) and Douala infos in 1988. 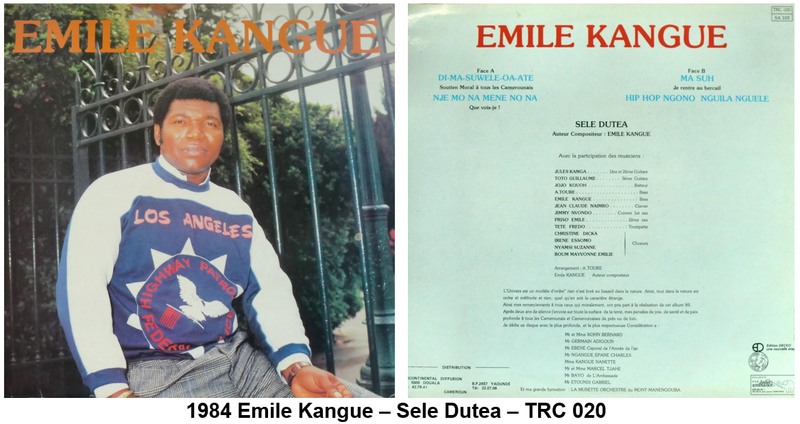 He also reunited with former Black Styl members Nkotti Francois and Toto Guillaume. 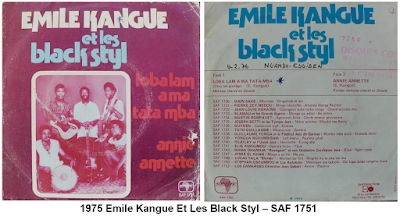 In the late eigties they renewed Black Styl with some new members like female singer Nadia Ewande, in an attempt to bring new life in this legendary band. 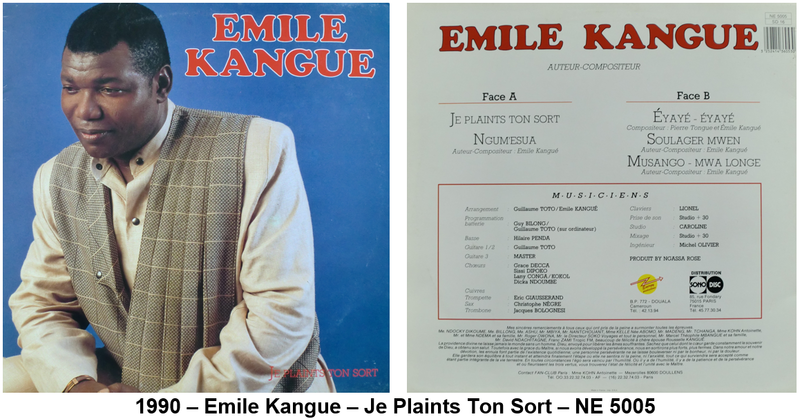 In 1997 Emile Kangue was touring in the US, when a tour operater suggested him to stay in the Stares to make a new start. 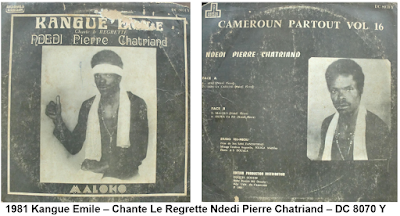 He took the challenge to start from scratch. 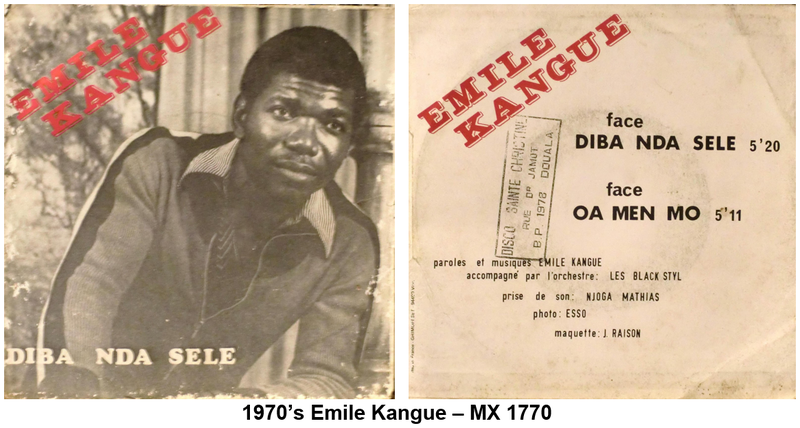 His first job was packing sales flyers. 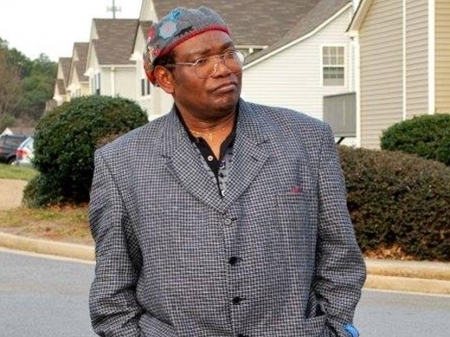 Later he became sales associate at an Office Max and after that he became supervisor of the electronic department. After five years he moved to Dollar General, where he became an assistant regional manager. After the first difficult years in his new country Emile Kangue found time again some new albums. 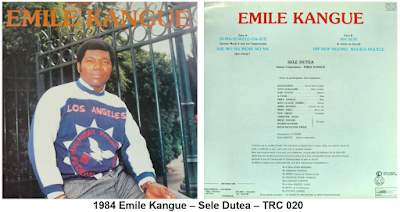 In 2003 he founded his own record company OTH K. Production Sophia (Sohia is the name of his daughter). 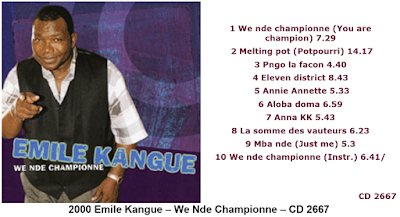 With this label he produced 'a best of' album in 2003, followed by We nde champion (2004) and Village Amatongue (2005). Today Emile Kangue still performs for the Cameroon community in the US. On the 4th of march 2011 he was back in Cameroon for a big concert with his old Black Styl friends and others, such as Manu Dibango and Andre Marie Tala, to celebrate the 40th anniversary of Nkotti Francois musical career. In 2012, he recorded the song Ekon with the US based musician Goddy Shake, who unfortunately died in 2014. 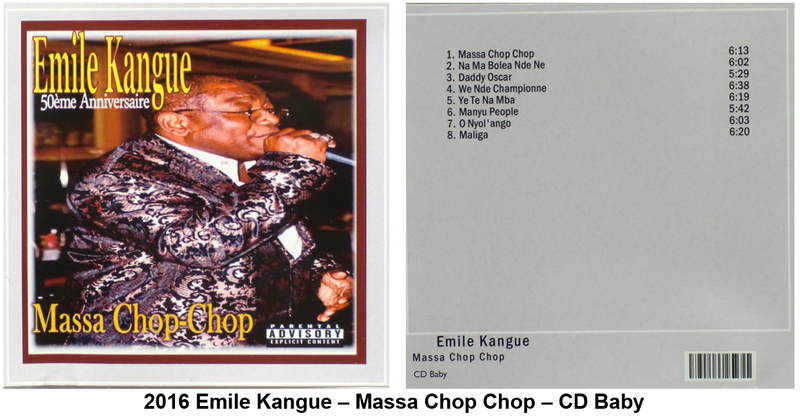 In 2016 Emile Kangue celebrated his 50th anniversary as an artist with the release of the album Massa chop chop. Thanks for your message. May be the following links can help you. Thank you for the links. I had already seen them. 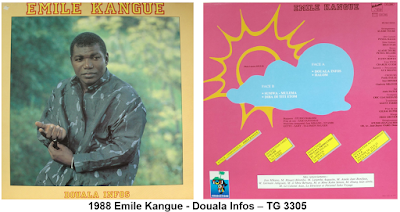 I managed to get very rare makossa records (45 rpm of Penda Dalle on Africa Oumba, 45 rpm by Pierre De Moussy...). 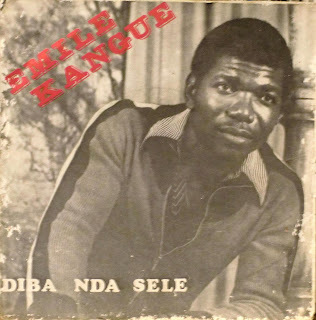 I plan to start a blog on makossa like you did. 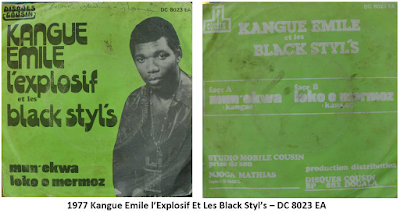 This is a non-commercial blog dedicated to classic Makossa. 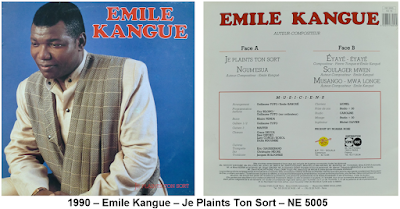 Renata Irsa, le futur du jazz polonais.